Students try learning the preceding information, but the teacher must move on in the lesson to meet the seat-time based school-year plan before each student can master the content, potentially leaving a student without the skills to answer correctly. Now, who can answer the questions about leukemia? An FLVS student in our Anatomy & Physiology course! Why? 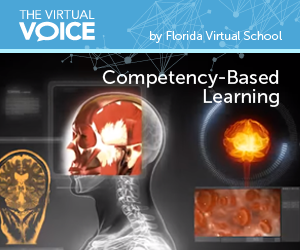 Because at FLVS, we use a competency-based method of teaching. 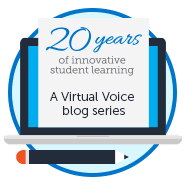 A student taking an FLVS course can move through his/her lessons at a speed that allows him/her as an individual to master the content in a course. Teachers can see which students are ready for the next portion of the lesson and which ones need a little more time based on their assignments. Those needing more time are offered the help and time to master that portion of the lesson and those accelerating are moved forward, without having to wait. Either way, competency-based learning meets the needs of each individual student. This is beneficial because all students have the same benefit, no matter what their particular learning style or level of pre-existing knowledge in a subject is. Competency-based learning isn’t something new, but it is difficult to do in a traditional classroom and school year with deadlines. It moves away from seat-time and allows for more personalized instruction and flexibility. Ever wonder why FLVS students often perform better? I’d say it has something to do with this competency-based learning. 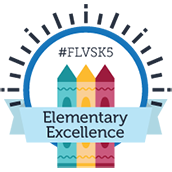 For that, I’d like to thank our Florida legislators who have supported FLVS and seen the value in allowing us to operate year-round to allow students to reach their full potential. As we see promising results in the data year after year, we hope that one day all Florida students will have this as an opportunity and the last of the virtual education eligibility restrictions placed on students supplementing their education with FLVS in grades 2-5 will be removed. The nonspecific immune components that will be negatively affected by leukemia include monocytes, which give rise to macrophages that engulf foreign material, along with basophils and neutrophils, which release antibacterial enzymes. However, the physical barriers of the innate immune system, such as the skin and mucous membranes, as well as the chemical defenses, such as enzymes in saliva, will be unaffected. The inflammatory response will also still occur. The specific immune components that will be negatively affected by leukemia include B lymphocytes, which release antibodies to fight pathogens, and T lymphocytes, which kill infected cells. In addition, memory T and B cells will be affected, preventing the body from mounting future specific immune responses using memory cells. This entry was posted in Educator Edition, Parent Edition and tagged A&P, Anatomy & Physiology, Benefits of Home Education, Benefits of Online Learning, Competency-Based Learning, Flexibility, Flexible Education, Legislation, Personalized Learning, Policy, Virtual Education on December 7, 2015 by Holly Sagues.